Tomorrow, the reigning English champions head North of the Border for their final Pool 3 assignment of the season against Glasgow Warriors at Scotstoun (1pm). 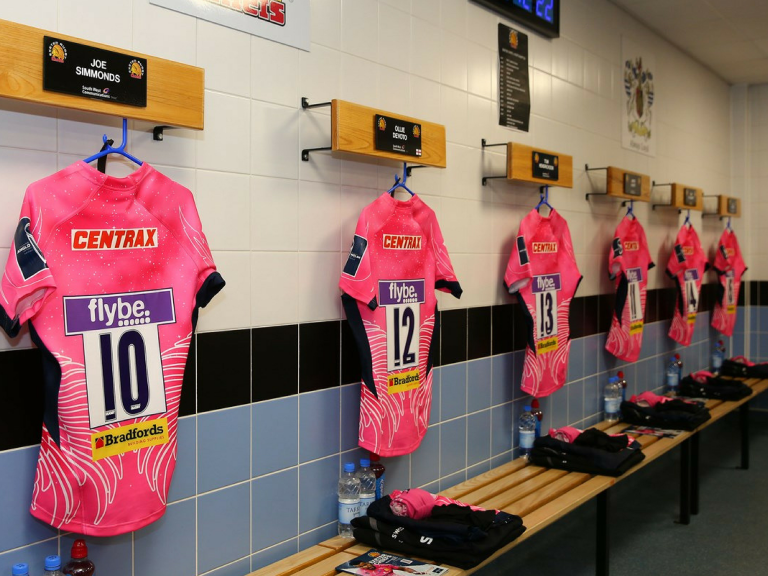 Having propelled themselves back into contention with last weekend’s six-try, 41-10 victory over Montpellier at Sandy Park, Rob Baxter’s side know they will have to reproduce a similar performance, if not better, to over the Warriors on their own turf. And despite Glasgow having already checked out of the competition a long time, having lost all five fixtures to date, the Scotsmen will be looking to bow out on a high, particularly as a large plethora of their squad will be looking to impress national head coach Gregor Townsend ahead of the upcoming NatWest Six Nations Championship. Baxter is aware of the challenge that awaits his side on all fronts and has warned them to prepare for a fierce battle this weekend. “The important thing is we have got to the last round of games with something to play for and something tangible to fight for,” said Baxter. “That has rarely happened for us in the Champions Cup over the years. The last time it happened we went through in some quote remarkable circumstances, but the most important part of that was that we got a very important win here at home to the Ospreys and that let other things fall into place. “We do have to remember that Glasgow are going to play a big part in this game,” added Baxter. “They are a proud side, doing well in their league, they’ve got some very good Scottish internationals who will come back into the side, along with some current ones who are already up and running, and the Six Nations is just around the corner, so there is an awful lot of reasons for a lot of good players to play well for Glasgow. “What we have to make sure we do is turn up in the right frame of mind to make things go well for us first - and not think it’s a matter of Glasgow fulfilling a fixture. We can’t go there and simply try to manage our way through it and try and tick some boxes to get what we want. We actually have to throw everything we have at it and that will give us the opportunity to get what we need. The Chiefs, however, will travel buoyed by last week’s hugely impressive win against a star-studded Montpellier outfit, who themselves were made up of some of the biggest names in world rugby. “What probably created that scoreline wasn’t necessarily all about our attack, but the fact that the Montpellier players were looking up at the scoreboard and they only had three points on the board until very near the end when they got their try,” explained Baxter. “That is probably what created as much pressure and allowed the opportunity for us to score as anything else. If they had been looking at the scoreboard after 30 minutes they had scored 15 or 20 points, I don’t think we would have got anywhere near 40 points. They would have had something to fight for and the pressure would have been completely different. “We didn’t score our first try until 30 minutes, we scored out first seven points at 30 minutes and it was 7-3 at half time. There was a lot created by the fact that Montpellier only scored three points. We defended very well and fought for every moment, so if we think we can go to Glasgow and concede 15 or 20 points because we can score 40, that is how you get things very, very wrong. Team news for the Chiefs ahead of kick-off is that Baxter sticks with a largely unchanged squad for tomorrow’s trip. A bang to the shoulder for Sam Hill means he misses out, so Ian Whitten reverts back into the centre alongside Henry Slade; Lachie Turner moves to the wing and Phil Dollman is promoted from the bench to fill the anchor slot. Up front, the pack is untouched from a week ago, but club captain Jack Yeandle (ankle) is ruled out, so Tongan international Elvis Taione is added to the bench, along with former Glasgow prop Moray Low and Tom Hendrickson who will offer cover to the back division.